What we do with our days, as Annie Dillard described, is what goes on to shape our entire lives. It can make all the difference between holding ourselves back, or supporting ourselves to reach our full potential. Our daily habits can either reinforce feelings of anxiety, stuck-ness, fear and pressure, or they can help us feel more energy and inspiration, more open to joy, curiosity, possibility, greater resilience and creativity. Daily habits can keep us paralysed and distracted by external busy-ness, or connect us deeply to our inner needs and desires. 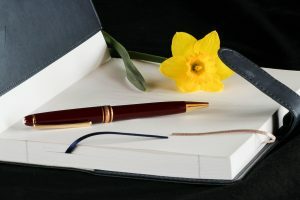 Shaping a daily schedule that supports you to stay connected with yourself, and meets your core needs – emotional, psychological and physical – is vital foundation to everything else. See my piece ‘We are Creatures of Basic Needs’ on the potential consequences of ignoring these! If your daily life is at odds with you, it’s more likely to add to your stress, drain your energy, and lead to constant striving and straining, as you stay stuck in survival mode rather than thriving. Shaping a schedule that works: the nitty-gritty foundations for expressing your full potential. 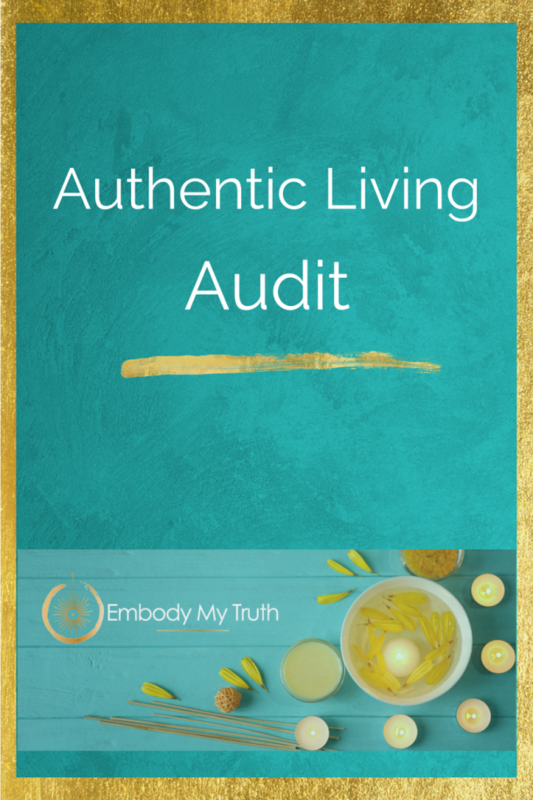 As obvious as it sounds, consciously creating – and sticking to – a schedule that acknowledges your needs, is a vital first step into authentic, fulfilling living. All our interactions and actions in the world stem from our energy levels, our beliefs, mindset, emotions, and our relationship with our Self. And these things can all be shaped and enhanced by daily habits that first and foremost meet your most important needs. Your schedule needs to really mirror who you are, so you can live more honestly, and express your full potential in the world – be that in your work, your creativity, in your relationships, or your community. That means figuring out things like how much solitude vs people-connection you personally need, and getting a healthier balance between work and play. It might actually mean spending less time on your yoga mat and more time engaged in silliness or dancing like nobody’s watching! While external factors can obviously limit our freedom to shape our schedules to some degree (work, family, social responsibilities, etc. ), it can be all too easy to avoid the truth that we ultimately do have choices and freedom within this. We can choose to spend less time online, for example, and more time outdoors, in nature, doing exercise, having fun, resting, or simply doing nothing and staring into space… Much has been written about both the healing potential, and the creative potential, that can arise from the fertile vacuum of non-doing, or even boredom. As an experiment, try totting up all the time you spend on social media over three days, and see how much of that could in fact be spent resting your brain and body, being inspired, or doing what truly makes your heart sing. ~ How can you weave in more of what actually nourishes your soul, makes you laugh or feel alive? There is a choice to be made in each moment, each hour, each day. Rather than allow unconscious habits to make poor choices for you, committing to pre-defined, supportive daily habits is one way to get you on the road to more energised and inspired living. 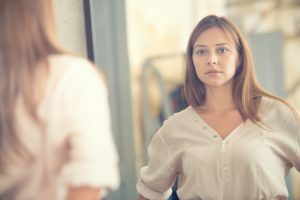 In shaping a supportive schedule that actually works for you, it’s important to become conscious of your own inner attitudes about the idea of sticking to daily habits, and how you relate to yourself when trying to implement them. Observe any resistance that arises, what the quality of your self-talk is, and how strict or lenient you are being with yourself. Check out my piece on ‘Being your own kind-but-firm parent’ for more on this. 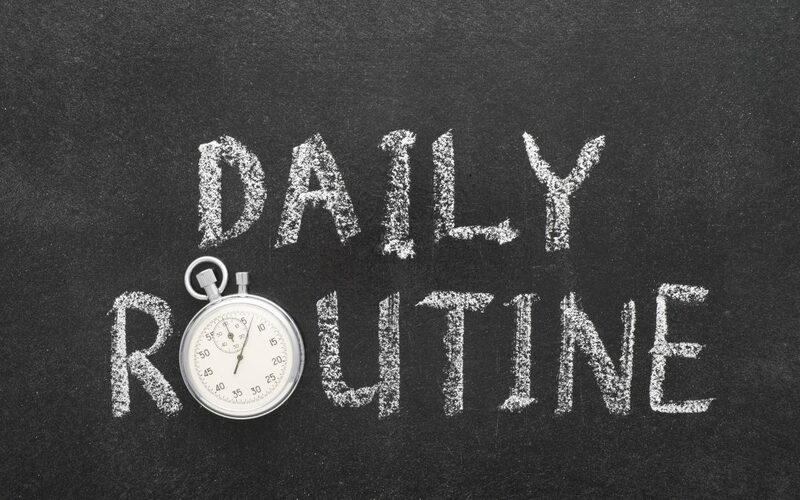 What does the idea of committing to daily habits bring up for you? What are your associations? Strictness or rigidity? Flexibility? Self-sabotage and rebellion? Empowerment, or defeat? What’s your track record with schedules? Do you stick to them religiously for a while, and then give up? Or do you engage half-heartedly, or not bother in the first place? Recognising your own attitudes can help you to work creatively around any resistances you have. One way to design a schedule that works for you is to boil it down to 10 key elements or habits, that each day ideally needs to include, in order for you to feel resourced and well. The key here is to be honest with yourself, experiment, and review what actually works or doesn’t work for you – not what the research says, or what others say worked for them.